Firstly what’s your name, how old are you and where are you from? I’m Jamie Manning. I’m 14 years old and I’m from London. What age did you first start skateboarding and what inspired you to first pick up a board? I started skateboarding when I was 9. I lived in Australia at the time. Lots of kids skateboard there. I remember seeing someone ollie a big stair set near the beach and I thought ‘I want to do that’. Where is your favourite place to skate? 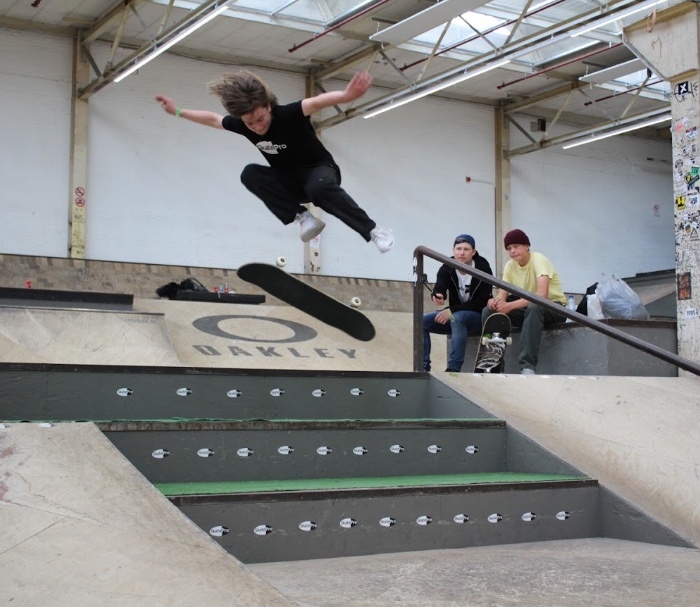 My favourite places to skate regularly are Bay 66 in London and Better Extreme in Dagenham. I used to love street skating on Sydney’s Northern Beaches and I try to get out to Barcelona at least once a year to skate the spots. Had you heard of the Enuff brand and where did you hear about it? What can you bring to the team? I had already heard of Enuff, because my other sponsor, SkatePro, sells Enuff decks. I think that the qualities that I can bring to the team are my energy, passion for skating and commitment. I am always trying to improve my skating and trying to learn as many new tricks. Which skateboarders did you look up to growing up? Any local legends in your local scene or professionals you aspire to be like? 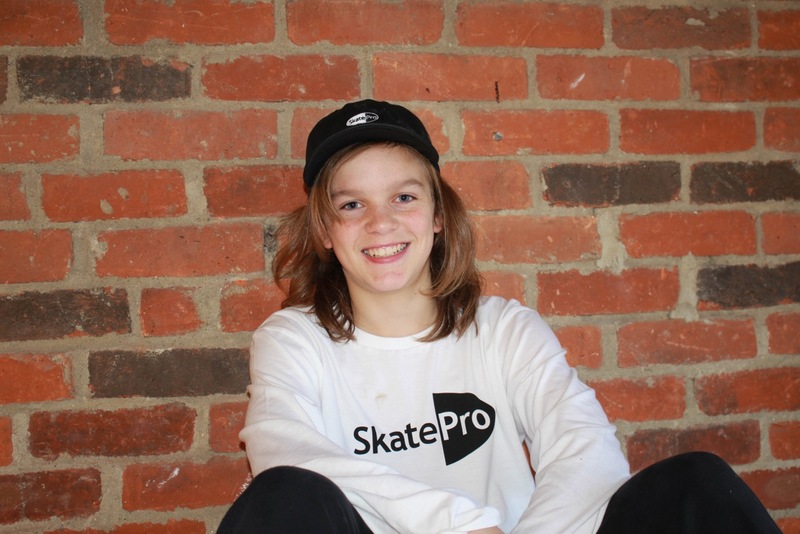 My favourite skaters are Jamie Foy and Chris Joslin. I like their style and most importantly what they skate, which is the big gaps and rails. I’ve also met some great UK skaters at Camp Rubicon, like Alex Decunha, and enjoyed skating with the Majer Crew when they visited the UK last year. How many people are in your group of friends that you skate with on a regular basis and which guys are essential to getting a good session going? I have a couple of local friends, James and Jed, that I skate with. Before I met them one and half years ago neither of them had ever skated. Now they skate with me most weekends. I also skate with a bunch of guys who I’ve met at various London skate parks. I’ve also got lots of skate friends that I have met through Camp Rubicon, Woodward and through the SkatePro team. What is your all-time favourite skate video and which ones are you into at this moment in time? Deathwish part 1 is sick. Do you have a preference towards street skating, skate parks or vert or are you happy to experience and skate everything? My favourite is street skating - although I usually the skate street sections of parks because most of the best spots in London are a bust! I try out most skate parks I come across, especially if they have good street plazas with down rails. What was the last trick you learnt? What are the next three tricks on your hit list that you would love to learn. I was hyped to learn over crooks this week. My wish list of new tricks includes big spins, big flips and also nose blunts. Are there any video parts you are working on personally which we will see in the near future or any competitions coming up that you plan to enter? I am currently not working on a video but hopefully a video part will come after the summer including some LA spots and maybe some from Barcelona and London. I will probably also enter a few skate comps this summer. What do you think skateboarding holds for you in the future and what are your future aspirations? My dream is to have a career in skateboarding in some capacity. Ideally I would love to become a pro skater.